Kinda addicted to concept designs, especially those with flaring graphics and eyes catching color tones. 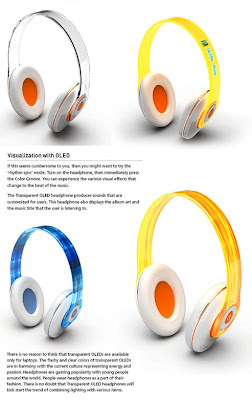 The new musical gadget concept designed by Min-guk Ji, Hong-joo Kim and In-oh Yoo for Metatrend Institute is one good example of such concept. Wonder how will the flexible OLED panels react when you play the Moon Light Sonata? 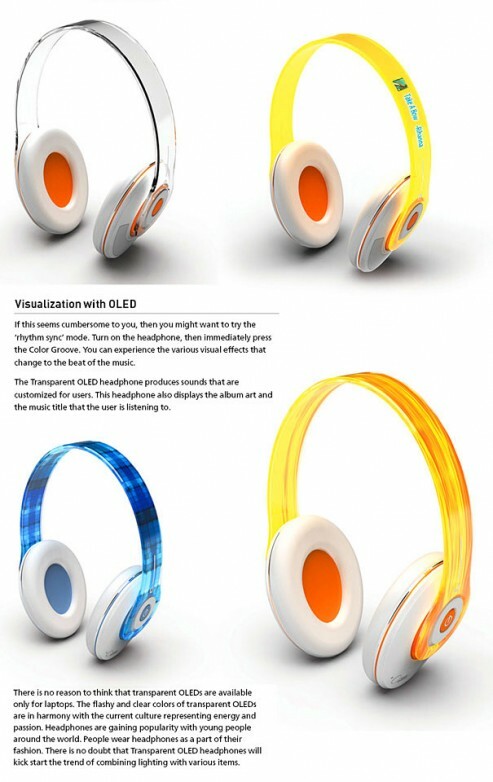 The “Transparent OLED Headphones”, as we are trying to connote a name for the concept. It consists of flexible OLED panels and two ear-cups that will allow user to custom design a lighting show or patterns across the cranium. You could set the color groove according to current track of music or scroll any message texts or simply remain whatever color you’re feeling like that day. The left side button controls your sound functions while the right side button controls the light show. 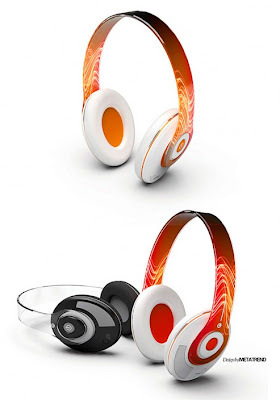 We think these headphones are so revolutionary they just may need a new segment name.